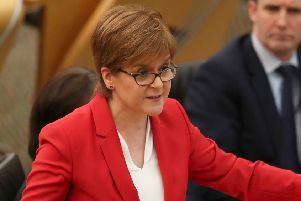 Nicola Sturgeon admitted that her push for a second independence referendum in the face of public opposition “undoubtedly” cost the SNP votes as she signalled a rethink of the party’s flagship policy. The First Minister said she would “consider carefully” the message sent by voters in Thursday’s general election, which saw the SNP lose 21 constituencies to all three Unionist parties. Her concession came on a day of high political drama that saw Theresa May fend off calls for her resignation from opposition leaders and her own MPs after the Conservatives lost their majority. The Prime Minister met the Queen at Buckingham Palace and announced the Conservatives would open talks with Northern Ireland’s Democratic Unionist Party to secure backing for a minority government. Jeremy Corbyn said Labour was ready to govern if Mrs May’s bid failed, while Liberal Democrat leader Tim Farron insisted his party would not enter into any deals. Ukip chief Paul Nuttall resigned after his party was all but wiped out, with Nigel Farage refusing to rule out a fourth tilt at the leadership. Mrs May sought to push through the Tories’ election embarrassment, reappointing the same ministers to key cabinet posts including Chancellor of the Exchequer and Home Secretary. But her attempt to form a minority administration propped up by the DUP brought accusations that she was presiding over a “coalition of chaos”. The Prime Minister insisted the Conservatives had the “legitimacy” to govern the country despite falling eight seats short of a majority, and claimed her government could deliver a “period of stability” to focus on Brexit and tackling the threat of terrorism. But DUP leader Arlene Foster made clear that agreement to secure Unionist support for a Tory government had still to be reached, saying only that talks would begin. Neither side offered any detail of what kind of terms would be up for discussion, with Ms Foster simply saying that the Union would be her party’s “guiding star”. Any deal is likely to be controversial given the impact on the embattled Northern Irish power-sharing agreement, and the DUP’s stance against gay marriage and abortion. DUP sources were quoted as saying that any deal would “come at a price”, with Northern Ireland’s largest party likely to demand increased funding for tourism promotion, business investment and policing, as well as a guarantee that a border poll on Irish reunification will not be held. The deal will not involve a formal coalition, but will instead be an informal “confidence and supply” arrangement on individual House of Commons votes. Speaking in Downing Street after being invited to form a government by the Queen, Mrs May said: “What the country needs more than ever is certainty, and having secured the largest number of votes and the greatest number of seats in the general election, it is clear that only the Conservative & Unionist Party has the legitimacy and ability to provide that certainty by commanding a majority in the House of Commons. “As we do, we will continue to work with our friends and allies in the Democratic Unionist Party in particular. At a press conference in Belfast, Ms Foster said: “In the days and weeks ahead, it is the Union that will be to the forefront of our minds. The Union is our guiding star. 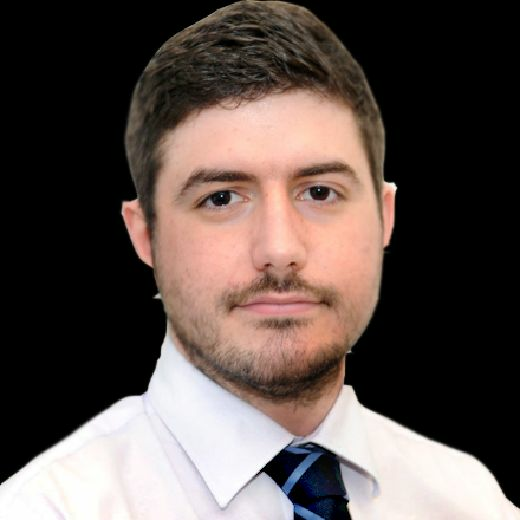 “We may represent Northern Ireland constituencies in the House of Commons, but we are as seized of the interests of the United Kingdom as a whole as we are those of Northern Ireland. Liberal Democrat leader Mr Farron used the Conservative’s election slogan against them to condemn the deal with the DUP. “Theresa May called this election expecting it to be a coronation. She took each and every one of us for granted in the most cynical way possible. Mr Farron called on the government to publish the terms of any deal with the Northern Irish unionists. “The British people have a right to know,” he said. Senior Conservatives gave their backing to Mrs May staying on as Prime Minister despite a widely derided election campaign, in order to avoid the upheaval of a leadership contest or quick return to the polls. But questions hang over how long Mrs May’s new administration can survive with an effective majority of just seven when ten DUP MPs are added to the 218 won by the Tories – smaller than the majority of 11 before the election. Opposition leaders reiterated their calls for the Prime Minister to resign after the Tories gave up a 24 per cent poll lead to eventually lose 12 seats on Thursday. Jeremy Corbyn said Labour were “ready to serve” after stunning their rivals and winning an extra 29 seats. The Labour victory was fuelled by higher-than-expected turnout by young voters in cities and university towns, as well as significant swings away from the Tories in urban areas that voted Remain in the EU referendum. Labour won unexpected victories in Kensington, Battersea and Warwick and will represent Canterbury for the first time in the history of the constituency. Last night the Prime Minister began the job of putting together a new cabinet and replacing six ministers who lost their seats. They included Cabinet Office minister Ben Gummer, who was tipped to lead on devolving EU powers after Brexit. However, she was unable to replace Philip Hammond as Chancellor with Home Secretary Amber Rudd as signalled before the election, keeping both of them as well as Foreign Secretary Boris Johnson, Brexit Secretary David Davis, and Defence Secretary Michael Fallon in their roles.